Large species with dark green narrow leaves and often with maroon tinted young shoots. Clusters of mauve-pink flowers early in the season, from February to May. Sheltered location with lime-free soil. 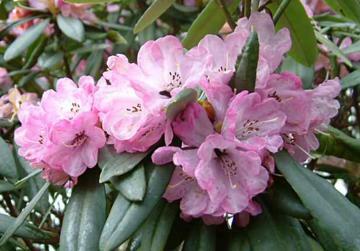 Hardy in most of Britain, but may be damaged in very severe winters.